In 2015 PDVSA, through its international businesses, processed a volume of crude oil of 1,089 MBD, of which 490 MBD were supplied by PDVSA. Also, 152 MBD of inputs for processes and mixtures were received. The volume of products was 1,241 MBD, of which 484 MBD correspond to gasoline and naphtha, 205 MBD to jet and distillate, 326 MBD to residual, 18 MBD to asphalt, 9 MBD to lubricants and 199 MBD to other products and specialties. For the year 2015, the shareholding of PDVSA in the refining business abroad was reduced, upon completion of the sale of Chalmette Refining LLC. It has a nominal capacity of 971 MBD, and consists of refineries: Amuay (645 MBD), Cardón (310 MBD), located in the Paraguaná Peninsula, and the Bajo Grande refinery in Zulia state, with a capacity of 16 MBD, destined for the production of asphalt. The volume of crude processed in in 2015 was 587 MBD; 91 MBD of inputs for processes and mixtures were received. With this level of crude and inputs, 678 MBD of products were obtained, of which 175 MBD correspond to gasoline and naphtha, 207 MBD to jet and distillate, 177 MBD to residual, 14 MBD to asphalts, 5 MBD to lubricants and 100 MBD to other products. Of the products obtained in CRP, 55% go to the domestic market and 45% to the export market, with products dispatched to the Caribbean, Central and South American countries, Europe and Africa.. The Eastern Refining Complex, located in Anzoátegui state, has a total processing capacity of 192 MBD of light and heavy crude. It consists of Puerto La Cruz Refinery, which has three main atmospheric distillers (DA- 1, DA-2 and DA-3) with processing capacity of 187 MBD, and San Roque Refinery (SRQ) (DA -4), which processes 5 MBD paraffinic crude, being the only paraffins in the country. The volume of crude processed in RPLC / SRQ for 2015 was 179 MBD. In addition, 47 MBD of inputs for processes and mixtures were received. With this level of crude and inputs, 225 MBD of products were obtained, of which 67 MBD correspond to gasoline and naphtha, 56 MBD to jet and distillate, 85 MBD to residual and 17 MBD to other products. Of the products obtained in this Refining Complex, 44% is destined for the local market and 56% for the export market in countries of the Caribbean, the Americas, Europe and Asia. In addition, the RPLC Deep Conversion project is being implemented, focusing on heavy and extra heavy oil processing of the Hugo Chávez Orinoco Oil Belt (FPO). It currently has a processing capacity of 140 MBD of medium grade crude. It is located in the state of Carabobo. In 2015,the volume of crude processed in RELP was 100 MBD. In addition, 103 MBD of inputs for processes and mixtures were received. With this level of crude and inputs, 203 MBD of products were obtained, of which 86 MBD correspond to gasoline and naphtha, 69 MBD to jet and distillate, 38 MBD to residual and 10 MBD to other products. Of the products obtained in this Refining Complex, 79% are destined to the local market and 21% to the export market, for countries in the Americas and Asia. 1. Lake Charles, located in the Gulf of Mexico, with a refining capacity of 425 MBD. It is one of the largest refining complexes in the United States. In addition to the refinery, it includes a plant for base oil and paraffin manufacturing. 2. Corpus Christi, located on the coast of the Gulf of Mexico. It consists of two plants, consolidating both a refining capacity of 157 MBD. 3. Lemont, located in northern US, it has a refining capacity of 167 MBD. Overall, CITGO's refining capacity is 749 MBD. In 2015, the volume of crude processed in CITGO was 720 MBD. In addition, 113 MBD of inputs for processes and mixtures were received. With this level of crude and inputs, 833 MBD of products were obtained, of which 384 MBD correspond to gasoline and naphtha, 72 MBD to jet and distillate, 244 MBD to residual, 133 MBD to other products and specialties. PDVSA Virgin Islands, has a 50% stake in the HOVENSA Refinery, located in the US Virgin Islands, in partnership with Hess Corporation; it has a refining capacity of 495 MBD. Hovensa closed operations in February 2012, to operate as a storage terminal for products. In September 2015, HOVENSA began a sale process, pending to cover some claims by the debtors and environmental guarantees to close the sale process, which is expected to materialize in 2016. Located in Curacao, it was built in 1915 and began operations in 1918. In 1985, PDVSA took over refinery operations through a lease with the Curacao government for a period of 20 years. In 1994, an extension of the lease was agreed until 2019. Isla Refinery has a nominal capacity of 335 MBD; it processes light and heavy Venezuelan crude. The products obtained are mainly supplied to the Caribbean and Central America, while a small portion is delivered to Curacao. The Isla Refinery has a Lubricants Complex for the production of paraffinic and naphthenic bases. On April 10, 2006, the joint venture PDV Cupet, S.A., was set up to purchase, store, refine and market hydrocarbons and their derivatives. 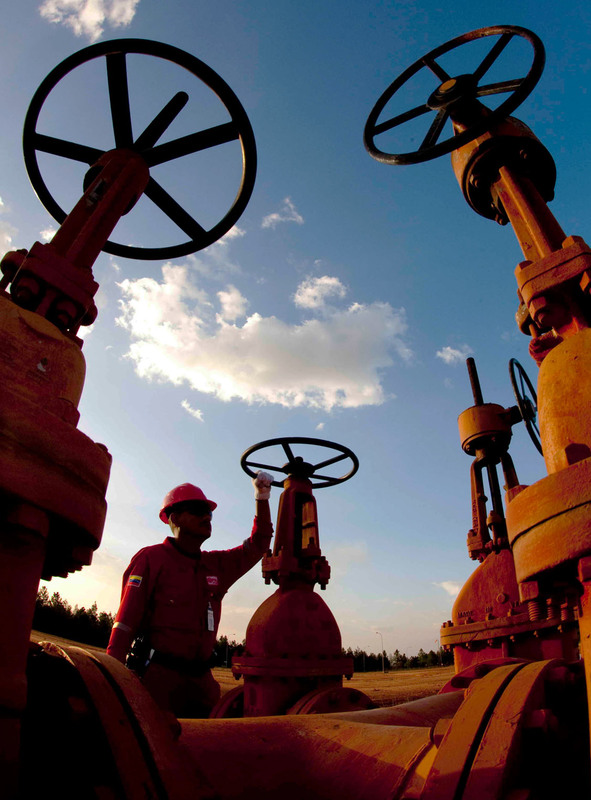 It consists of Comercial Cupet, S.A. (51%) and PDVSA Cuba, S.A. (49%). In 2009, it became the joint venture Cuvenpetrol, SA, with the strategic objective of developing an energy hub in the Republic of Cuba by increasing the refining capacity to obtain high quality finished products using deep conversion and generating inputs for the development of the petrochemical industry. The joint venture implemented the Cienfuegos Refinery Reactivation Project in December 2007, with capacity to process 65 MBD of crude oil. In 2015, the volume of crude processed in the refinery was 49 MBD and a production of 7 MBD of gasoline and naphtha, 18 MBD of jet and distillate, 21 MBD of residual and 3 MBD of other products and specialties. On August 14, 2006, under the PETROCARIBE Agreement, the partnership agreement between PDV Caribe and the Petroleum Corporation of Jamaica (PCJ) was signed; it was consolidated on January 30, 2008 with the creation of the joint venture Petrojam Ltd (PCJ 51%, PDV Caribe 49%). The Kingston Refinery is located in the Port of Kingston, and since 1993 it has operated profitably in an unregulated and competitive market. The refinery has an installed capacity of 35 MBD. In 2015, the volume of crude processed was 22 MBD, with 3 MBD of gasoline and naphtha, 5 MBD of jet and distillates, 12 MBD of waste and 2 MBD of other products and specialties.